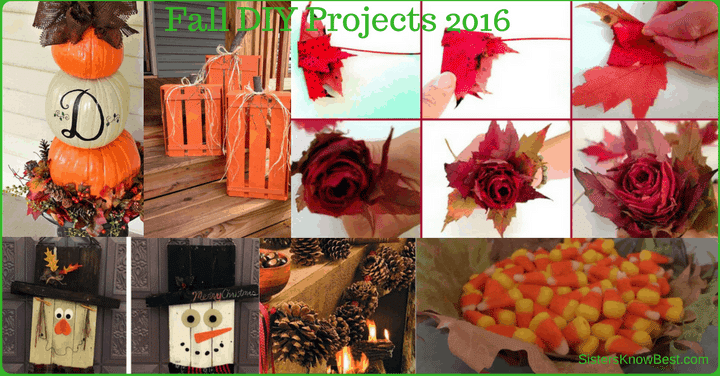 Fall DIY projects are some of my favorite to round up! I love this time of year. Not sure if it’s the changing leaves or the crisp air that invigorates, but I LOVE this time of year. How about you? Do you like Fall? 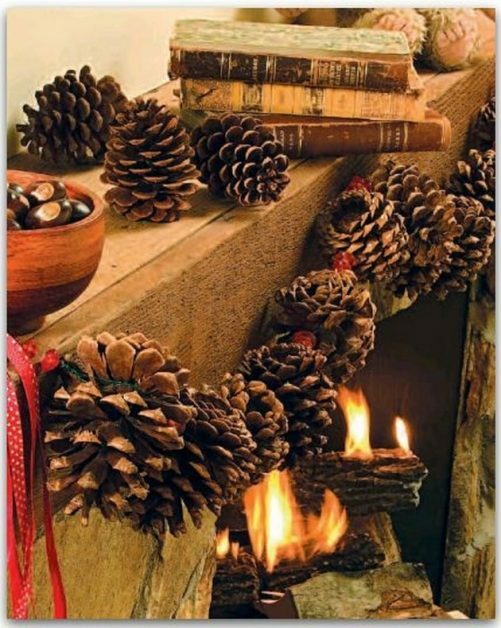 If yes, you will love these cute and easy fall DIY projects for indoors and out. Jennifer Decorates (AKA Decorating Made Easy) has an adorable tutorial for a DIY Pumpkin Topiary. 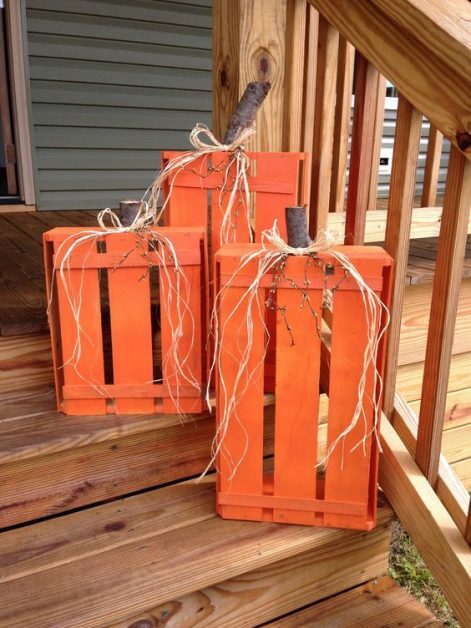 DIY Crate Pumpkins by Crafty Morning look like a lot of fun! 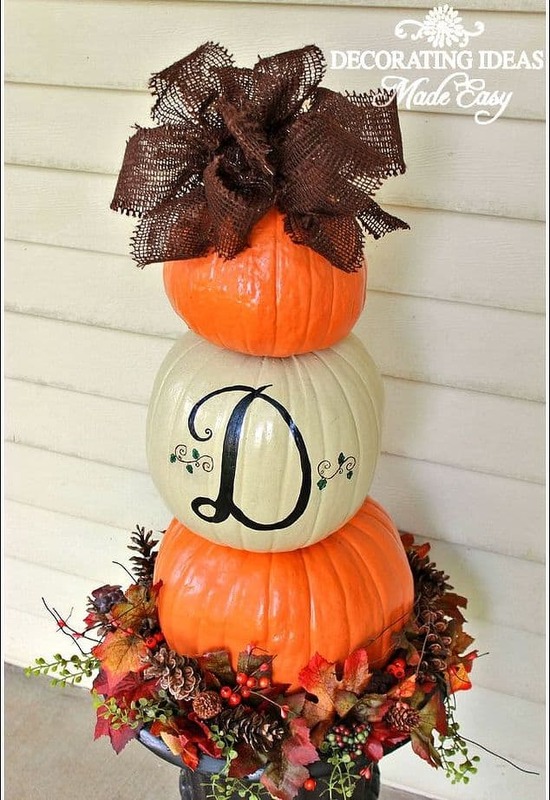 You only need 4 items to bring these beautiful outdoor fall decorations to life! I love reversible DIY deocorations! Especially for Fall and Christmas. The occasions flow together so quick, it’s nice to keep something out for longer than a couple weeks. 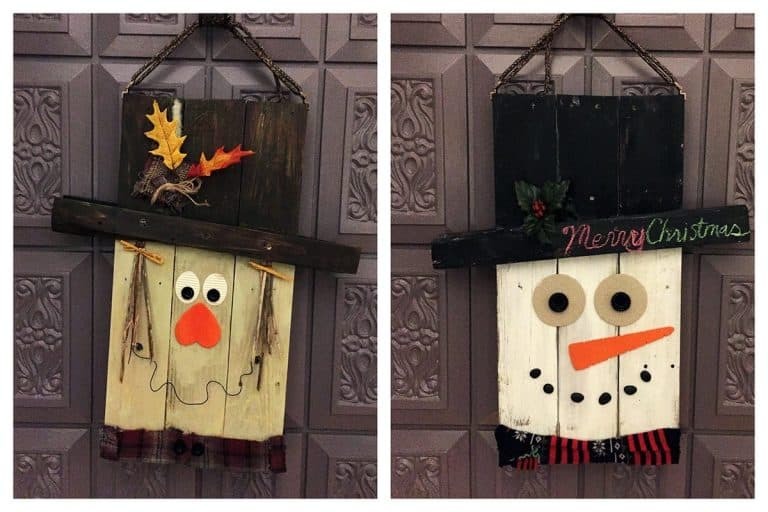 Check out this DIY tutorial from the Pretty Purple Door for Scarecrow/Snowman pallet decoration! 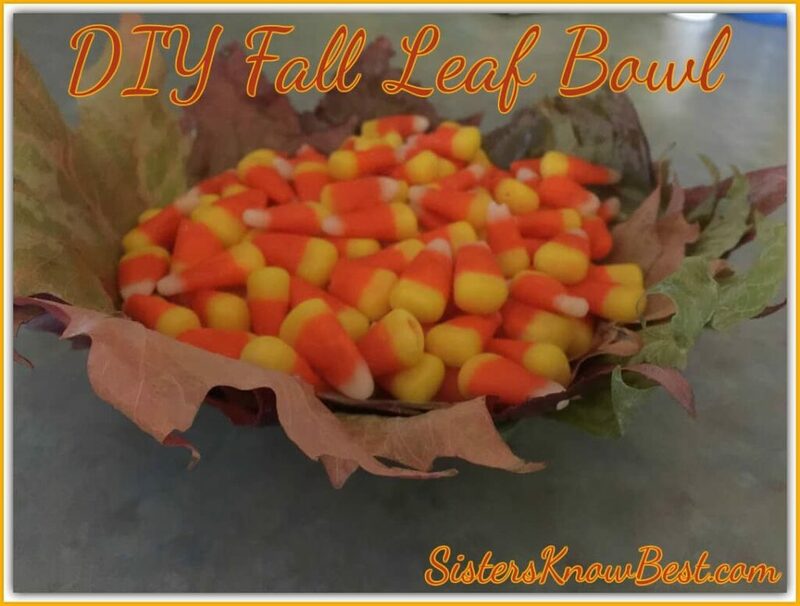 Sisters Know Best made the Easy DIY Fall Leaf Bowl Decoration last year. Getting the leaves to stick on to the balloon can be challenging! The Fall Leaf Bowl makes a beautiful indoor fall DIY project though. 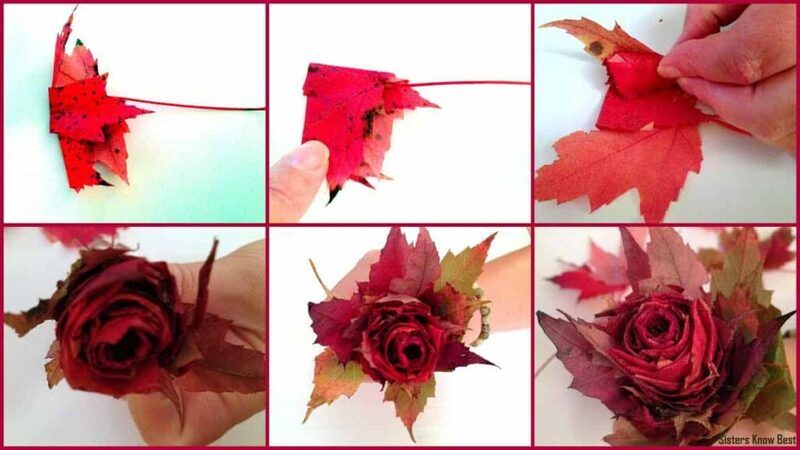 We can’t do a Fall Craft post without including our favorite Fall Leaf Rose! This is what put Sister’s Know Best on the map after all. And it’s still a timeless DIY all ages love! There you have it. Fall craft ideas for inside and out! What’s your favorite one? We’d love to see how your projects come out! 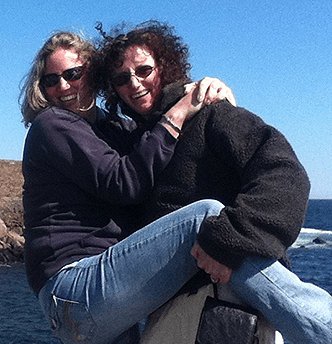 Stop back and show us or head on over to one of our social media sites! If you are in the mood for Thanksgiving, check out last years collection of Thanksgiving Treats and Crafts! Love this! Can’t wait to try this out this afternoon!! Glad you are excited! Post a picture on our Facebook page! We’d love to see how it comes out!